Every year on opening day of trout season (the 4th Sat. 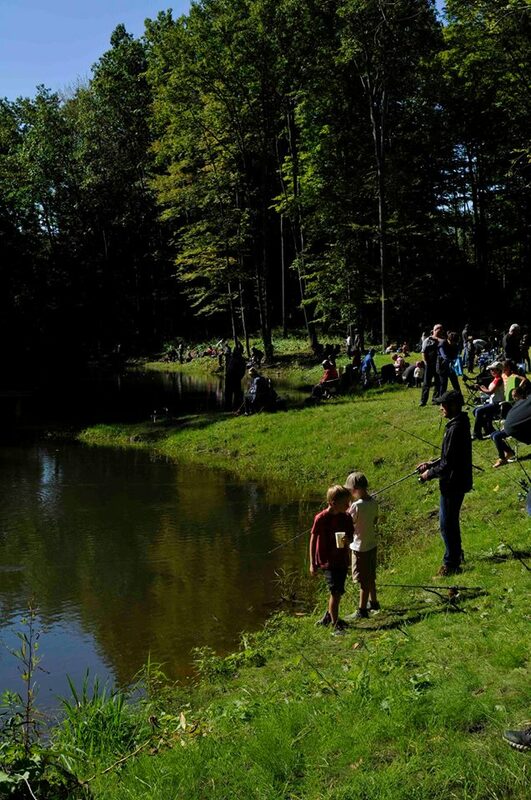 in April) we offer a fishing derby to all youth in our area free of charge. It is open to children 15 years and under and is sponsored by the Kiwanis Club of Tillsonburg. 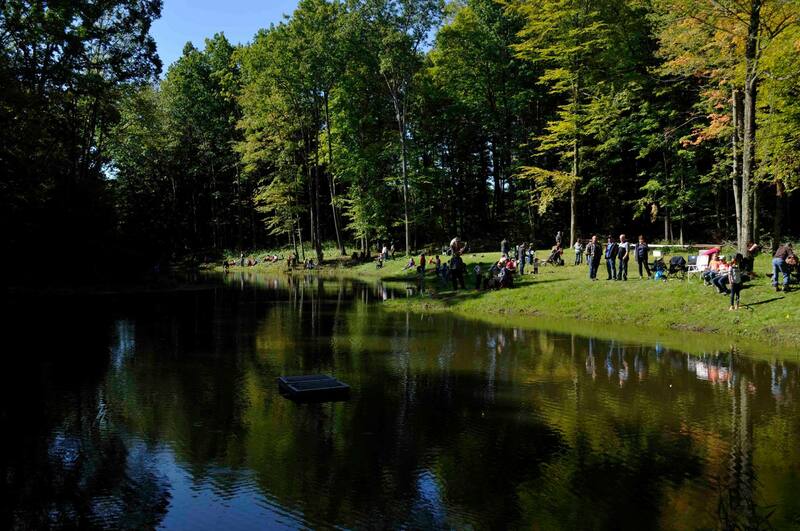 The club stocks the pond with rainbow trout in preparation for this event. All children receive prizes that have been donated by many local businesses and individuals. This is a day for many children and their families to take pleasure in this wonderful sport! This event often attracts in excess of 150 children. Fishing is from 10 am to 1 pm on the day of the event. We are located in Ontario between the villages of Eden and Straffordville at 9908 Plank Road (formerly Hwy. #19). © 2019 Otter Valley Rod and Gun Club.